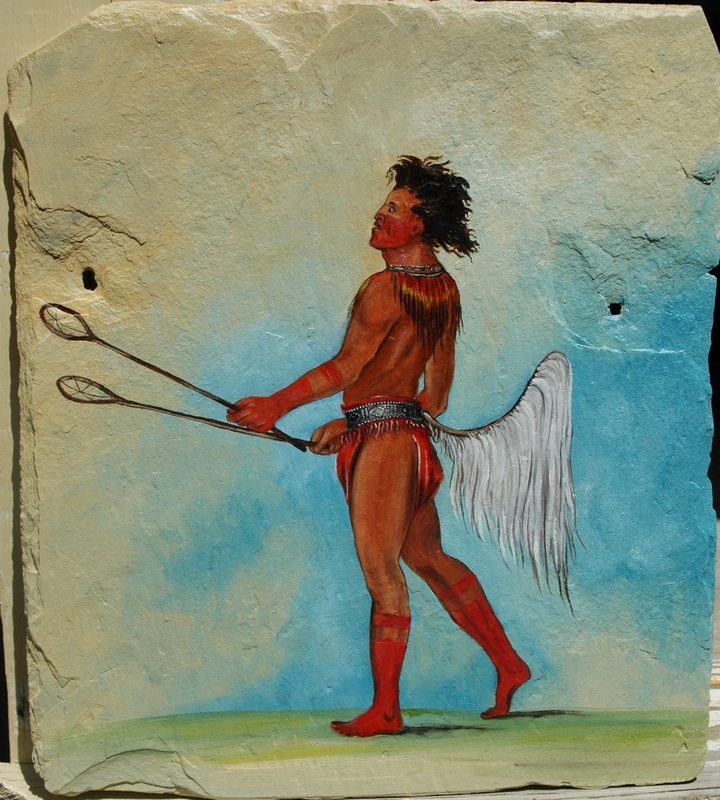 I am fascinated with how Native American people are depicted in folk art. 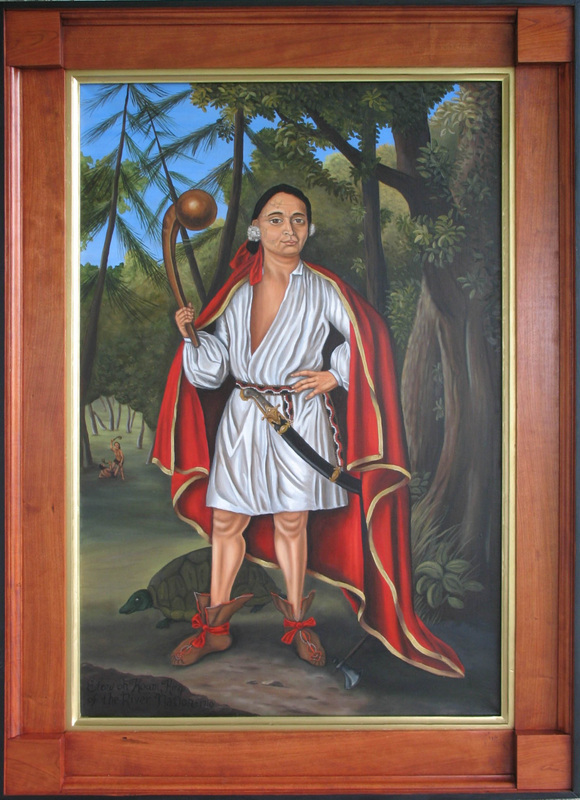 Portraits of Indians can tell us much about both the culture they depict and the culture that created them. The “Four Indian Kings” were taken by Phillip Schuyler to Queen Anne’s court in 1710. Schuyler hoped to inspire the British government to invest more money in a planned invasion against the French in Canada. Four Iroquois chiefs were brought along in an effort to gain publicity for the cause. They became instant celebrities in London, and several popular engravings of them were made. The Queen commission John Verelst, a Dutch painter living in London, to paint their portraits. The original works are currently a Canadian national treasure, acquired from the British government in 1977. My reproductions are painstakingly crafted in authentic colors on imported linen canvas. The frames are made of local cherry. Thomas McKenny, a government official supervising Indian affairs developed a plan to have images if important Native personages painted by artists such as Charles Bird King and John Mix Stanley. 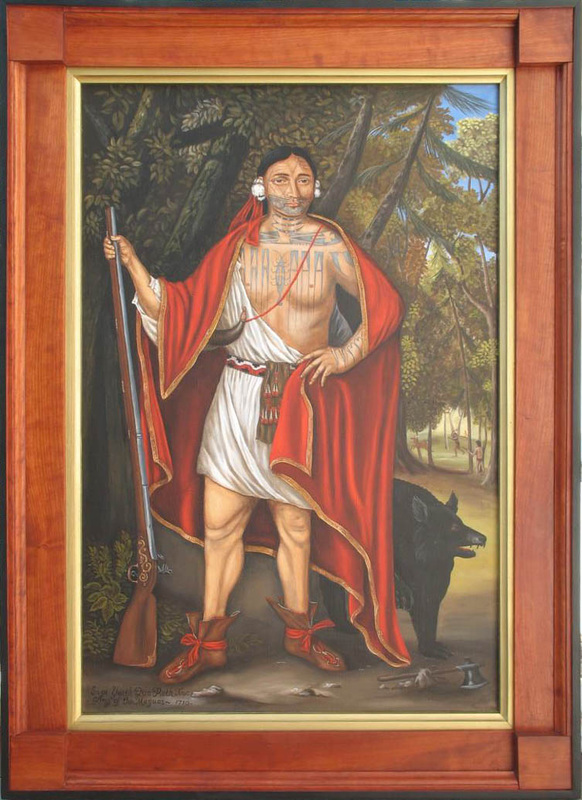 The paintings were published as prints in 1837 in the McKenney-Hall History of the Indian Tribes of North America. Most of the originals, on display at the Smithsonian, were destroyed in a tragic fire in 1865, another sad metaphor for the Native American experience. I hope to recreate as much of the gallery as I can, bringing these works back to life. George Catlin travelled west in the 1840s and captured images of the still proud native people who were already suffering from the encroachments of white culture. He toured the US and Europe with his gallery of paintings and became one of the most renowned painters of Indian life.